Articles in English, Italian or French. 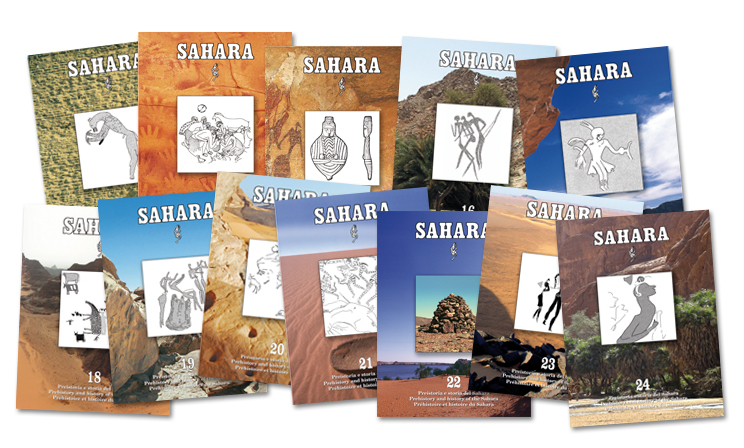 Édition limitée, numérotée à 100 exemplaires, publiée en 2008 par les soins de‘Zerzura Club’ et‘Pyramids’. Seulement 50 exemplaires sont disponibles au prix de 68,00€ chacun. 250 pages plus deux annexes de 55 et 32 pages, trois cartes. Tiré de la version française de 1907, publiée et traduite de l’arabe par Ahmed Bey Kamal, Membre de l’Institut Égyptien, Conservateur au Musée Égyptien du Caire. Prehistoric rock art in northern Chad (Borkou-Ennedi-Tibesti). 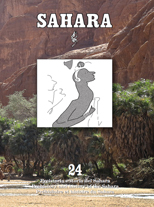 More than thirty-five rock art sites described and illustrated. Black and white and colour photographs. Text in Italian, 2 plates and one map with site location, 125 pages. Published 1996. Proceedings of the Meeting on Silica Glass and related desert events held at the University of Bologna (Italy) on the 18th July 1996. Silica Glass (or Libyan Desert Silica Glass) and its origin. Geologists and researchers report their hypotheses and the results of scientific research on this enigmatic natural glass. Texts of papers in English. Published 1997.